We have been growing for the last 3 years at some pace, the catalyst was joining forces with Richard Williams and moving to our current premises from ‘out in the country’. We have a service department, a restoration department, parts and a beautiful showroom for modern and classic Porsche sales. The hidden part is the team of experts we have assembled to do the very specialist jobs that are outside of our premises here. Those people are important. Even though the growth has seemed sudden, the foundation of a good reputation and long term experience in the market is solid, exposing the business to sunlight was all that was needed. We remain really proud of the work we do, but more than that, we remain dedicated to being fair, open and honest. Doing good business with good people. A modern used Porsche seems excellent value. Buy one in the right condition, prepared and inspected properly and you have the opportunity to experience pretty much the same driving qualities as when it left the Factory gates but at a massive discount. A Porsche was always well built and most are cars that you can enjoy any day you like. It’s lovely to pamper them…….but you don’t have to. These are for driving. We supply 991,997, 996, Boxster, Cayman and Cayenne. We cater for customers with big budgets and not such big budgets. We really don’t mind, if you are a nice person to deal with and appreciate what we do you are welcome here. 997 look superb value with £30,000 capable of buying you genuinely nice cars, Boxster is worthwhile looking at too, immensely practical and really satisfying to drive, £15-£40k brings some superb examples. We can sometimes recommend a Boxster at less than £10k, it’s not always required to reach deep inside the wallet. We occasionally get asked what Year or Era Porsche to buy….unlike some manufacturers there is no ‘bad’ year or ‘bad’ model. They all have different tastes but if its got a Porsche badge you are safe to choose whatever you like. Some cars go in and out of fashion but a Porsche remains pretty steady. Not long ago we might have avoided some 1980’s Ferrari because of the styling and for now they are back in fashion. We actually had one, it was difficult to use, difficult to drive and not that great behind the wheel. However small boys walked into lampposts staring at it. A Porsche is a safer bet; great to drive, well built, relatively easy to maintain, reliable, use them any day anywhere, they benefit through development born from continued motorsport involvement and all models are relatively rare and you should be able to find one that looks nice. Not so many other sports cars have such a broad spread of qualities and that’s a big factor in their continued desirability. Octane Magazine Last Track day of the season – Meter long flames, upsidedown Alfas and serious some serious speed insues! Check out the Video! Track day experiences are available for every Porsche! Join us! Social Media is a Lonely place when nobody knows your there – If you love gorgeous Porsche stuff please give us a Like or a Follow! – Hit the button you know what to do from there. Wipers: Invest in a new set of wiper blades. (call our service department). Screen wash: Replenish the screen wash with correct screen wash additive, not clear water. Headlamp aim: Have your headlamps adjusted carefully by an MOT center. (many are set lower than they need). Tyres. Check or have checked your tyres across the whole width of the tread. Its easy to think you are okay only to find the inner edges worn. (and have correct N rated Porsche tyres fitted….not budget). You ought to have a minimum of 3mm across all the tread, dont wait until they are illegal or fail an MOT (which is minimum standard). Tyres. Check the tyre pressure and identify if you are reading psi or ‘Bar’ pressure. Mix the two up and you will be introuble. Refer to the label on the car (door jamb, fuel flap, engine bay or handbook) for the correct pressures for your size wheel. Clean your car, go for a drive and put it away dry. Keep the battery on one of our battery Optimizers. Pump up the tyres another 10 psi and move the car monthly to avoid flat spots. (carpet under the tyres helps too). Leave the window open a crack if you can. Run it monthly and operate all heating, electrics and air con. (in a well ventilated place). Fuel, fill it up and add some fuel stabilizer. Rodents…..keep them out of the garage. Car cover. Something that does not attract damp. Should you need help, advice or equipment call Justin in our service department we are used to storing Porsche. Lots more staff enable us to offer more services. We have ability to provide almost anything for a the Porsche owner or buyer. Porsche Sales. we supply almost any type of porsche, 356 to 991. If we don’t have it, we will try to find it. We even supply new Porsche to clients who prefer to deal in a direct, straightforward manner. Please contact Adrian, Richard or Matt. Worldwide Porsche Source. We have a database of the most exciting and interesting Porsche available from all corners of the Globe. Should you be looking for something special….call Adrian or Richard. Porsche Selling Assistance. When it comes time to part with a Porsche please call, we purchase, we broker and we advise clients on selling an individual car or a collection. If you would like yours sold, please contact Adrian, Richard or Matt. Porsche Service. We can undertake regular or in depth servicing and repairs on any Porsche. What you get is real interest, real care and really clear advice. We may not be the cheapest, but getting the right job done correctly may prove to be the most economic long term. Regular maintenance through to engine rebuilds and modifications.Please call Justin. Porsche Paint and Accident Repairs. 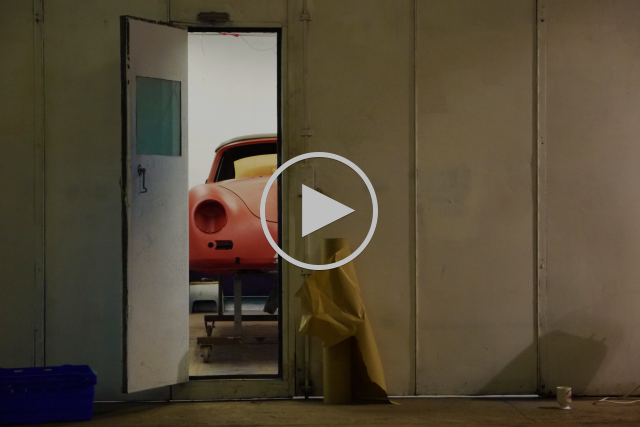 Bring your Porsche to us when it needs help. If you are going to have your Porsche repaired get it done right or you will significantly hurt the value. Should you suffer an accident you are normally quite within your rights to demand that your Porsche be brought to a place of your choice. Send it to a Porsche man not a body shop who is repairing regular shopping cars and who is going to repair for the cheapest price in the quickest time. We will do better and bring your Porsche back the way it should be. We are doing this all the time.Please call Justin. Porsche Restoration. We have the attitude, experience and the skill set to carry out a restoration to the highest professional standards on your Porsche. We know whether the fiobre washer behind the lamp lens is correct or not, we apply attention to detail that comes from intimate knowledge of these cars. Two of the interesting Porsche in our care are these, a 1973 911 RST that is all but finished, it is meticulous restoration that we would be proud to show you. Part way through the process is a 356 convertible just finished with corrosion and accident repair and now heading for paint. Please call Adrian or Graham. Porsche Bespoke. We build bespoke Porsche for clients. Have what you like. Whether it is a classic or a modern we can make it the way you want…(within reason!). From colour and interior changes through to complete bespoke builds where we can show off our skills.Please call Adrian or Graham. Porsche Engine and Chassis. Speak to us about what you would like to achieve, whether it’s an exhaust upgrade or the fitment of a supercharger (as we are doing to a client’s 964 at this moment). Chassis, brake, engine and gearbox upgrades. Please call Justin.